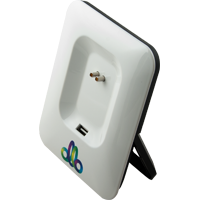 3rd Wimax provider(ollo) started their service in bangladesh ~ Download Everything You Need ! At present there are two Wimax service provider giving high speed broadband internet connections in Bangladesh. Though their unlimited internet packages are too costly, I think their services aren't too much good. 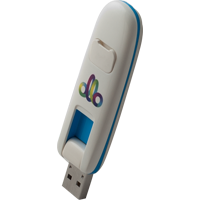 However a new company named "Ollo" has started their journey in Bangladesh from October 2011. So hopefully the competition in the market will rise and this may be beneficial for general customers. I've talked with one of the "Ollo" Representative, while saying their vision and motives he said that Ollo will emerge as a market leader in wimax service provider by delivering quality service to the people which will also provide some extra stimulation to local economy. At present they are serving at three major point(Dhanmondi, Gulshan, Uttara) at Dhaka city and hopefully they will expand their coverage in all over the country within 2012.
is more than 200 meters away from Ollo Base Station, you may have to use it to get better signal.